So I've been running a lot (for the 1/2 marathon) and was doing fine, but as I began to train more I was becoming more and more convinced that I did, in fact, need something else to listen to besides the voices in my head telling me how tired I was. It's not that I've refrained from getting an ipod for any moral or personal reasons I just knew that ultimately I didn't need one. I really like the radio and the only time I listen to music is in my car so I was fine to spend my money elsewhere. However, the closer I got to trying to reaching my 13.1 miles goal I realized that in fact, one might come in handy. So, I went on ebay and got one of these suckers for a pretty good deal...except mine is silver and its beautiful! I just love my little baby shuffle. I put some songs from CDs I already had on my ipod to begin with and some friends have been gracious enough to pitch in give me some songs to help me get started BUT I have now completely become reliant on my music when I run. 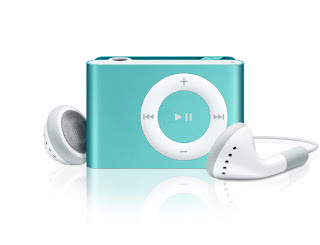 Which is why I didn't really want to get an ipod to run with the first place, but I guess its for a greater good. I instantly became aware that my pace directly correlated with the beat of the song. If you know me and my music selection I'm not the world's biggest fan of music that doesn't use some sort of synthesizer, so this has become quite a challenge to find "The Perfect Running Music." Yesterday I started to listen to more hip hop and pop music radio stations. The first song I heard was Mariah Carey's Touch My Body. Once I heard her reference youtube in her song (along with a slew of other things I refuse to mention in my blog) I knew that there had to be a better way. So...will you help me?!?! I need your help in finding "The Perfect Running Music." I'd love any suggestions that you have. I need all the help I can get! About six years ago I was introduced to a man I already knew very well. I knew he was kind. I knew he loved Jesus very much and was smart and cared about others. I knew he truly understood what it meant to be a minister and I knew he had experienced heartache. What I have now come to know, throughout the past six years, is that Jimmy Dunn is truly a man of God. He walks so closely to Him that you can't help but feel the presence of Lord when you talk with Jimmy. I've also learned that he loves NASCAR, supports the Tennessee Vols first and fore most followed strongly by the SEC in general. He loves to read and always stays very informed on current events. He has strong convictions and is an amazing writer. Jimmy is a smart business man and always puts others before himself. Most importantly I've learned what an amazing father Jimmy is. Not just to his own two boys but to me as well. Having my fair share of dads and father figures throughout the years I am so very grateful to have this man in my life, not only as a friend and mentor, but as a dad. The way he has welcomed me into his life has been like nothing else I've ever experienced. He carries an amazing strength within him that I believe only comes from the Lord. His faith and wisdom continue to inspire me to be a better person and his encouragement helps get me through whatever battles I may be encountering. It is such a blessing and honor to know him, love him, and learn from him. Four years ago Jimmy was diagnosed with Multiple Myeloma. MM is a form of cancer of the blood plasma. It is regarded as an incurable cancer but can be put into remission with a variation of drug and treatment options. For the past year and half Jimmy has been in partial remission and was able to stop chemo treatments and cut back on doctor visits. It was a nice break while it lasted. Jimmy had to start back on chemo, steroids, and another anti-cancer drug today. He will continue with weekly treatments until the numbers go back down. I hate cancer. What was once a common prayer concern for many others I knew all of a sudden became a daily battle for my family. You would think after 4 years of it I would be used to it...like violence on television or scandals in politics...but it doesn't seem to work that way. There seems to a be a nervousness in me that is quite constant and a call to prayer that seems quite daunting. I ask you to join with me in prayer for Jimmy and so many others who face this daily battle. He is mighty to save! Last summer I began to constantly be reminded of Zephaniah 3:17...particularly the first sentence. "The LORD your God is with you, He is mighty to save." There were many things in that sentence for me to process over the next season of my life. That fact I am His and He is mine, the promise of my LORD always being with me, trying to understand God's mighty-ness, and praising Him each time He was there to save me. Today I heard my mom tell me the oncologist had called Jimmy in for an unscheduled appointment. There were test done, there will be more test done, and we'll have the results Monday. "A friend is one to whom we may pour out the contents of our heart, chaff and gain together, knowing that the gentlest of hands will sift it, keep what is worth keeping, and with a breath of kindness blow the rest away." I pray that I can be that kind of friend. I'm not always good at being kind and gentle but I'm working towards it. These last few weeks I have turned more inward than I ever have. I've stayed home more, kept thoughts to myself more, spent time with just me...though I'm thankful for this time, reading this quote made me remember that we aren't meant to go through life alone. I'm so thankful for my friends. I'm also thankful for Jesus. Through all the uncertainties of tomorrow...in my life and in the world, I'm still being reminded the the LORD my God is with me, He is mighty to save! I'm so very thankful for that today. Back in February when I heard how early Easter was this year, I was not excited. In fact I was kind of sad...it would still be cold, it wouldn't be as pretty outside, we don't have that long to decorate, etc. The closer Easter gets the more and more I am begging for it to be today. Though as a Christian, each day is Easter...each day He is risen, each day He is alive, there is something in me that longs for the corporate worship celebration. I feel as though I've been living in a Good Friday state of mind for awhile now. I'm ready for the Resurrection, I'm ready to start fresh. I was reading My Utmost for His Highest this morning, good ole' Oswald. Easter has been on mind as we are in the season of Lent and I haven't been able to move past Good Friday for days. This was good for me to hear. Maybe it will be for you as well. When you have no vision from God, no enthusiam left in your life, and no one watching and encouraging you, it requires the grace of Almighty God to take the next step in your devotion to Him, in the reading and studying of His Word, in your family life, or in your duty to Him. It takes much more of the grace of God, and a much greater awareness of drawing upon Him, to take that next step, than it does to preach the gospel. Every Christian must experience the essence of the incarnation by bringing the next step down into flesh-and-blood reality and by working it out with his hands. We lose interest and give up when we have no vision, no encouragement, and no improvement, but only experience our everyday life with its trivial tasks. The thing that really testifies for God and for the people of God in the long run is steady perseverance, even when the work cannot be seen by others. And the only way to live an undefeated life is to live looking to God. Ask God to keep the eyes of your spirit open to the risen Christ, and it will be impossible for drudgery to dicourage you. Never allow yourself to think that some tasks are beneath your dignity or too insignificant fo ryou to do, and remind yourself of the example of Christ in John 13:1-17. This is what I said out loud in a louder-than-normal voice at the movie theater this weekend when I saw the preview for the new Mamma Mia movie coming out this summer!!!! I couldn't believe it! Regardless of who was casted I would totally go see this, on opening night. It's such a fun musical! BUT it's great people. Meryl Streep, Pierce Brosnan, Colin Firth, and I'm really excited to see Amanda Seyfried, from Mean Girls, play the part of Sophie. Apparently I'm a little slow on my up-and-coming movie knowledge b/c everyone else seemed to know about it. regardless, I will now be counting down the days...as well as counting my pennies to save up for a blockbuster summer filled with fabulous movies. 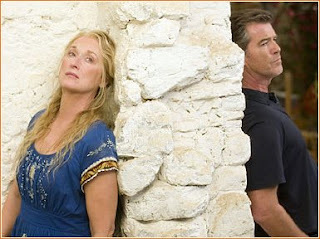 If you aren't familiar with Mamma Mia! then you have obviously not been on a road trip with me, or care about musicals at all. Mamma Mia! is the musical based on the songs from ABBA (who doesn't love Dancin' Queen? seriously!). 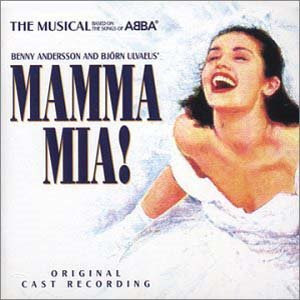 I was given tickets to Mamma Mia! for my birthday when it came to Nashville. It was such a fabulous show. I've owned the soundtrack ever since and listen to it more often than I probably should. ps. I also saw a preview for the Sisterhood of Traveling Pants 2!! !